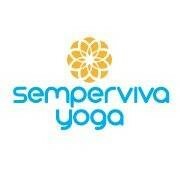 Start taking classes at Semperviva Yoga and other studios! Open to all levels. Strengthen, stretch, tone and relax. Whether you are trying to get in shape, cope with tension from the office or relieve the tightness in your body from sports, Hatha yoga can benefit you. Hatha yoga is the classical form of yoga postures and breathing that revitalizes the body physically and mentally. It is an uplifting practice that increases muscle tone, improves flexibility and concentration, detoxifies the vital organs and allows you to experience a state of deep relaxation. The level of the class will depend on the teacher and the needs of the students. You can always make classes easier or more challenging for yourself by following the teachers’ cues for variations and modifications of the poses. Practicing yoga at Beach Studio makes you feel like you’re on a Yoga Retreat on a beautiful West Coast island. It is a complete escape from City life. Please arrive 10 minutes early to be guaranteed a spot in class! If you are late, you may be turned away! Way too many people jammed into the studio. Ruined the experience. Great hatha class! Lorena gives enough time to hold each pose and chest/shoulder opening pose at the end was wonderful. So relaxing. I really liked Lorena! Wonderful teacher and gorgeous location! Lisa is an amazing teacher!